Distinctive features: Very fuzzy stem, as if coated with a thick frost. 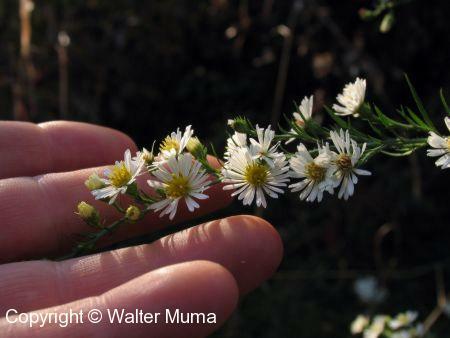  Panicled Aster (Symphyotrichum lanceolatum) - Stem not as hairy.  Purple-stemmed Aster (Symphyotrichum puniceum) - Stem not as hairy, and often purple. Flowers: Summer, Autumn; White; 7 or more parts (petals); 1-2cm in diameter. Ray flowers: 16-47, usually white. Disc flowers: 20-40, whitish-yellowish, becoming purple. 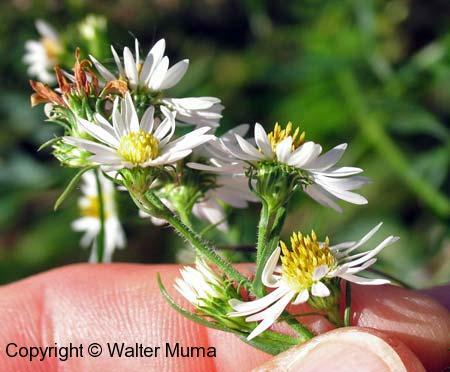 Flowers arranged in an open manner, very similar to Panicled Aster (Symphyotrichum lanceolatum). 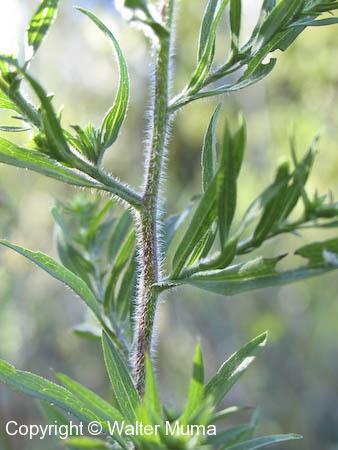 Bracts are stiff, long-pointed, and usually spreading. 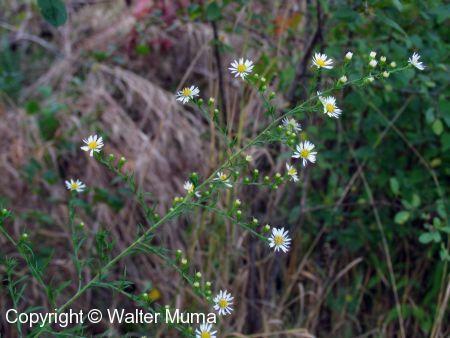 Leaves: Alternate, Simple, Entire; Long lance-shaped, very similar to Panicled Aster. Stem: Extremely hairy - coated with numerous dense hairs that stick straight out. Looks sort of like a thick frost has coated the stem. Most obvious when viewed with backlighting, ie the sun shining from behind the stem. Just to make things interesting, there is a variety of this species that has a smooth stem! Branches stiff. 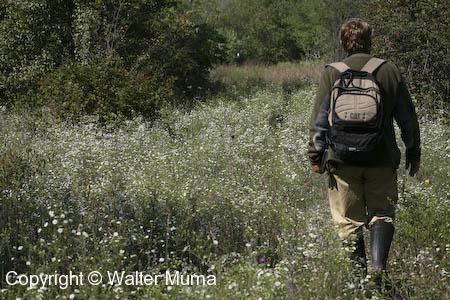 Habitat: Fields and Open Areas, Meadows; Moist low areas, fields or wooded. 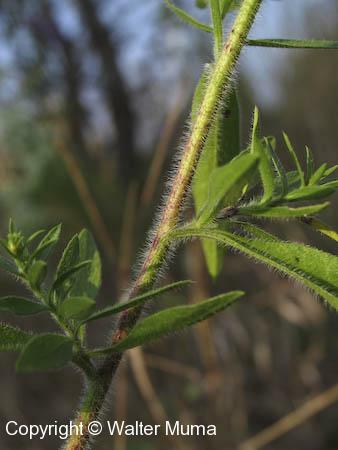 Notes: The striking and distinctive feature of this species is the very hairy stem. BUT there is a variety of this species that has a smooth stem! This variety can get misidentified as Panicled Aster. Photographs: 161 photographs available, of which 16 are featured on this page. SCROLL DOWN FOR PHOTOGRAPHS. 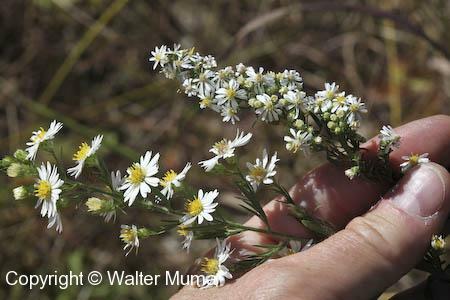 Here's why this Aster is called Frost Aster. 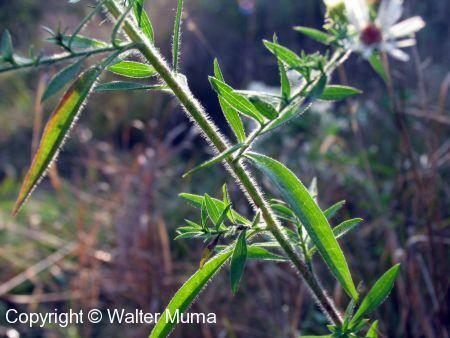 The stems and leaves are very hairy, so much so that they almost appear to be coated with a thick frost, especially when viewed with the sun shining from behind the stem. Another picture of the fuzzy stem. Frost Aster is sometimes confused with Purple-stemmed Aster (Symphyotrichum puniceum), which can also have a very fuzzy stem, and is not always purple. 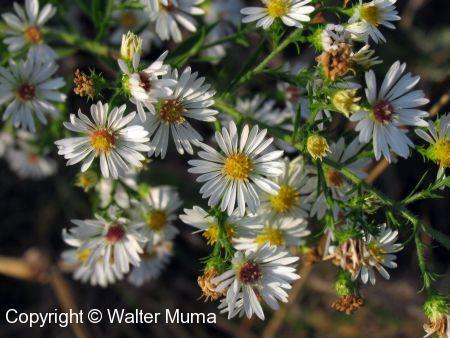 However, there are other differences to help tell these two asters apart. The stem viewed without the backlighting. It really is incredibly hairy. A leaf. Note that it too is very fuzzy. 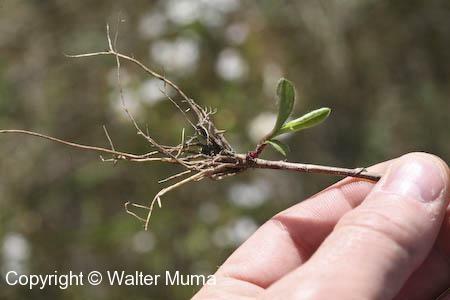 This photo shows the overall form of the Frost Aster. 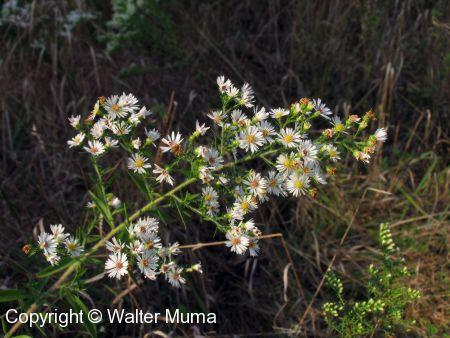 In this aspect it resembles Panicled Aster (Symphyotrichum lanceolatum). The branches spread out, and are often horizontal to the ground. The plants will sometimes be found leaning this way and that. Closeup view of a Frost Aster flower. Note the purple disc - they start out yellow, and gradually turn purple. The flowers are relatively large, as seen here. Sometimes the flowers appear rather sparsely along the flower stems, with just one or two flowers in bloom at once on each stem. 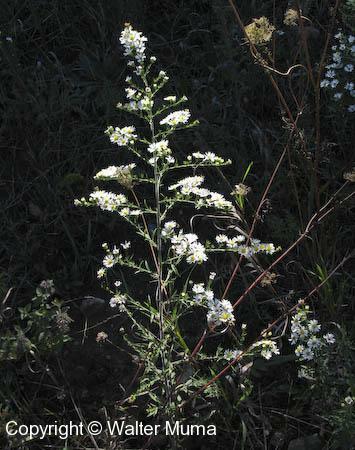 This photo shows the spreading phyllaries (green bracts below the flowers). A closer view of the phyllaries. A nice meadow full of Frost Aster in late September. 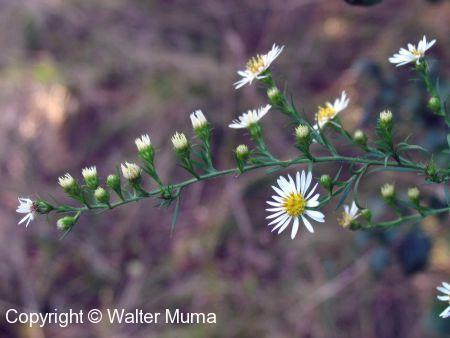 Right: Heath Aster (Symphyotrichum ericoides).